I'm careful about cooking with oil since I got nettle rash because of sesame oil containing chili pepper included in a packet of instant noodles when I was in senior high school. What an old story ! and I remember that I went into labor when I was cooking deep-fried chicken for my son on Children's Day. 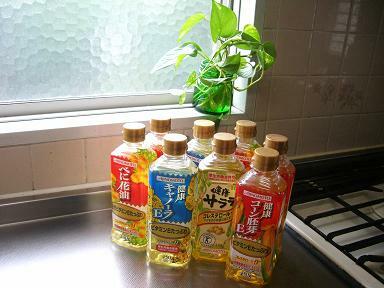 Then, after my kids left home to study or work, the opportunity to cook with a lot of oil decreased gradually. and I began to deep-fried again, carefully.